No more switching between apps. Now ideas can flow effortlessly. Save emails to Evernote and organize them with the rest of the project, or quickly add notes from Evernote to any Outlook email to share them with others. Get tasks and projects done with Nozbe, available on all your devices and integrated with Evernote, Dropbox and GCal. A screen-recording, screen-capturing, and editing tool with easy sharing options via Evernote. It’s powerful, efficient and time-saving. FollowUp.cc lets you create notes, reminders, recurring reminders and tags in Evernote from your Inbox or mobile device. PomoDone is the easiest way to track your workflow using Pomodoro technique, on top of your current Evernote Notes Structure. Everything you need for wise investing. 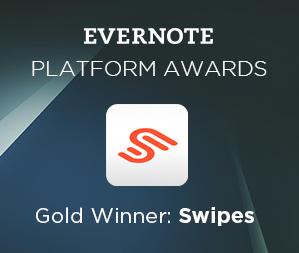 Write notes, record audios and capture charts for any stocks and save them to Evernote cloud. Automate your workflow. Create powerful integrations between Evernote and other apps, so you don't have to do it manually all over again. Copy notes from Evernote to Atlassian Confluence pages quickly and easily. Mail Butler is a productivity boosting add-on for Apple Mail, which easily converts emails into Evernote notes.